Southern California has been a hotbed for hot rods since its unique subculture movement began. 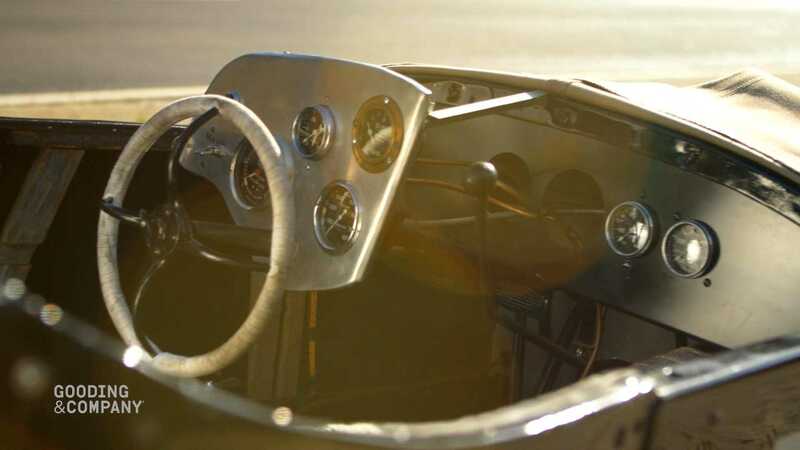 Before drag racing’s first steps towards mainstream acceptance began in the 1950s with the National Hot Rod Association’s founding, dry lake racing under searing California sun in the 1930s had already created the underlying base for an entire movement. 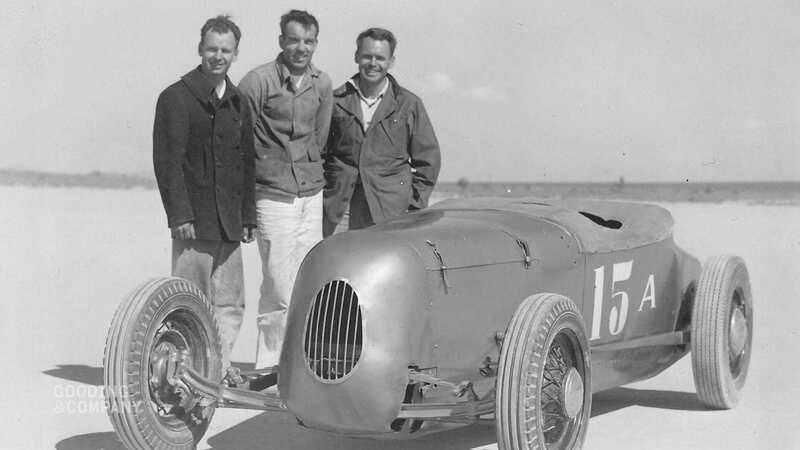 World War Two had put a temporary halt to dry lake racing’s development but as Californians returned from deployment, they went straight back to tinkering with vehicles. Before the NHRA, there was the Southern California Timing Association; its Vice President in 1948 was Chuck Spurgin, who teamed up with Bob Giovanine to create the Spurgin-Giovanine Roadster, a hot rod icon that’s now hitting the Gooding & Co auction block at its Scottsdale, Arizona sale on January 18-19, 2019. This custom built rod is amongst the most successful and game-changing ever created. 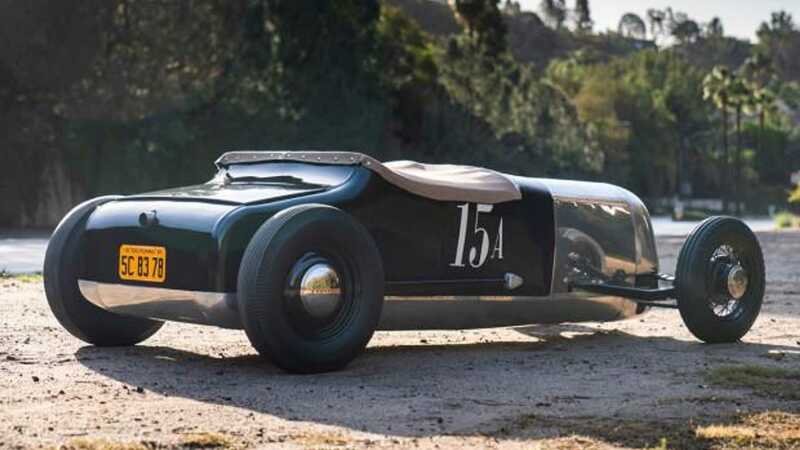 A mash-up of Spurgin’s Chevrolet Roadster and Giovanine’s 183ci Chevy four door, their creation had aerodynamic efficiency and lightness at its core. 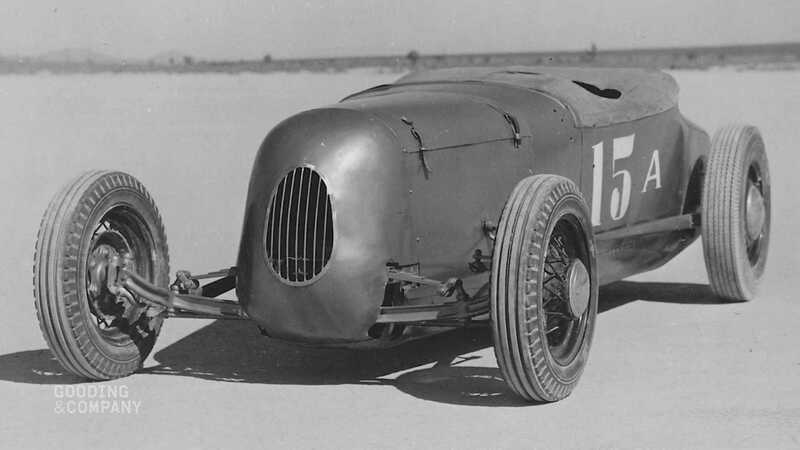 Spurgin-Giovanine’s creation was a pure-bred hot rod racer, designed to rock up at the nearest dry lake and leave its competition in its dust (literally). Spurgin and Giovanine’s creation achieved exactly that. 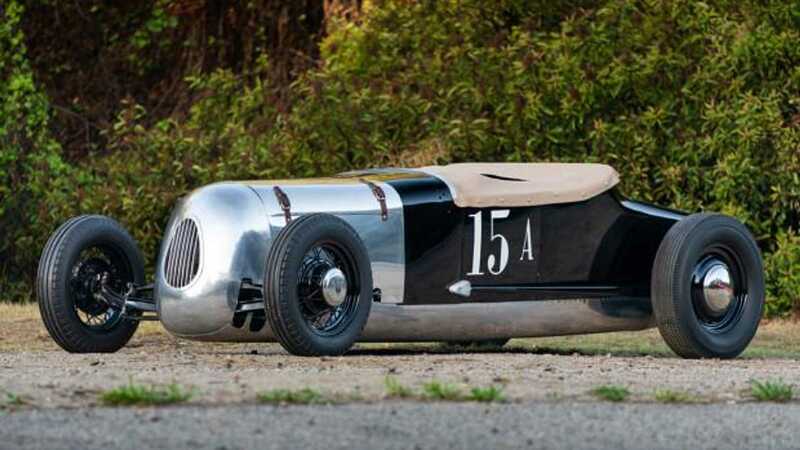 Their Roadster was dominant to such an extent that it finished first and set record times in every single SCTA meeting in 1948, racking up a perfect 1800-point score on its way to the Class A Roadster title. 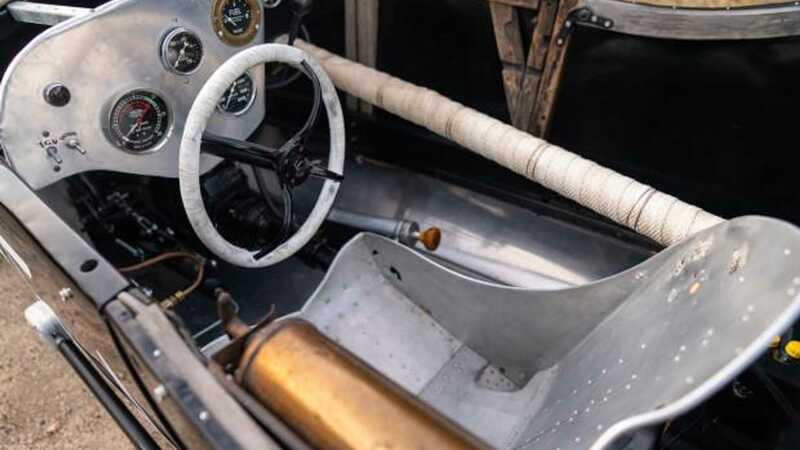 Its top speed that year was 123mph, a highly impressive feat for its time. 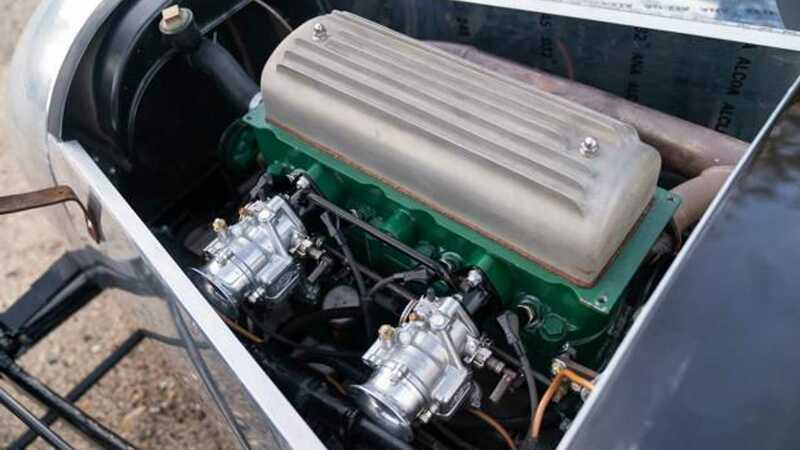 Unsurprisingly, that led to it taking pride of place on the front cover of Hot Rod magazine’s March 1949 issue and, nearly 70 years after its heyday, the Spurgin-Giovanine Roadster earned a place in the Dry Lakes Racing Hall of Fame in 2015. 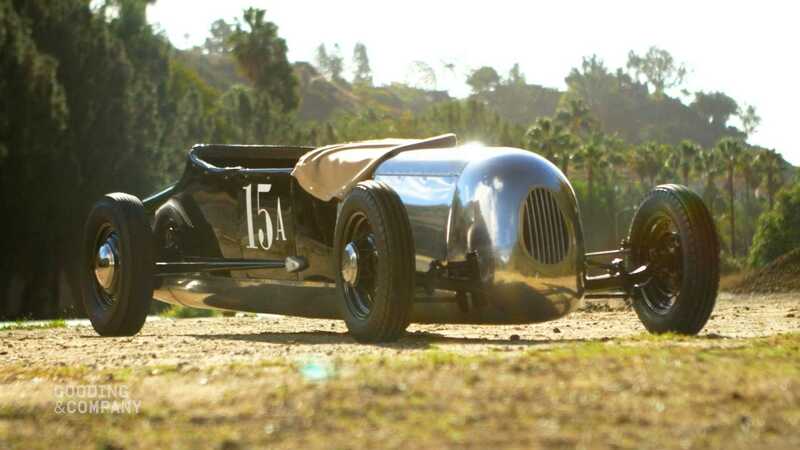 It raced regularly until the late 1950s, only to disappear for nearly four decades thereafter. Come the late 2000s it would undergo a full restoration under the watchful eye of SCTA historian Terry Baldwin, with both Spurgin and Giovanine’s families also involved. 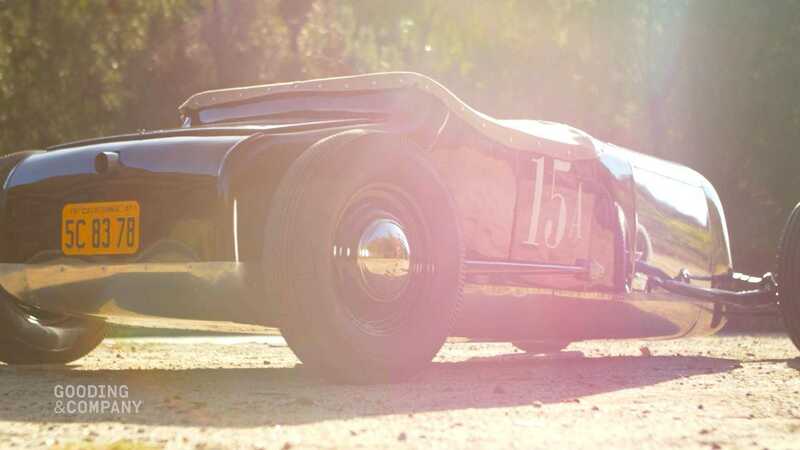 A proven winner both in its racing career and post-restoration show career, this is an ideal centrepiece to any hot rod collection.